At First Chance Nepal we are always looking for willing people to run fundraising events. Over the past year some of First Chance Nepal's dedicated committee and supporters have tested themselves in the name of charity. Dave Harradine organised an incredible Art Auction in Bristol on the 12th December. He had some incredible pieces of art donated to help raise money for First Chance Nepal. The auction raised over a whopping £3,500! A massive Thank You to Dave and everyone who donated art and participated in the auction! 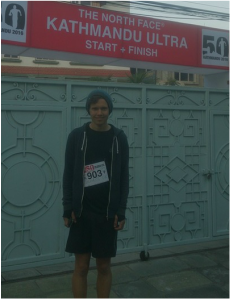 Joe completed the race in 7th place in an amazing 6hours 18 minutes and raised over £800 for First Chance Nepal! 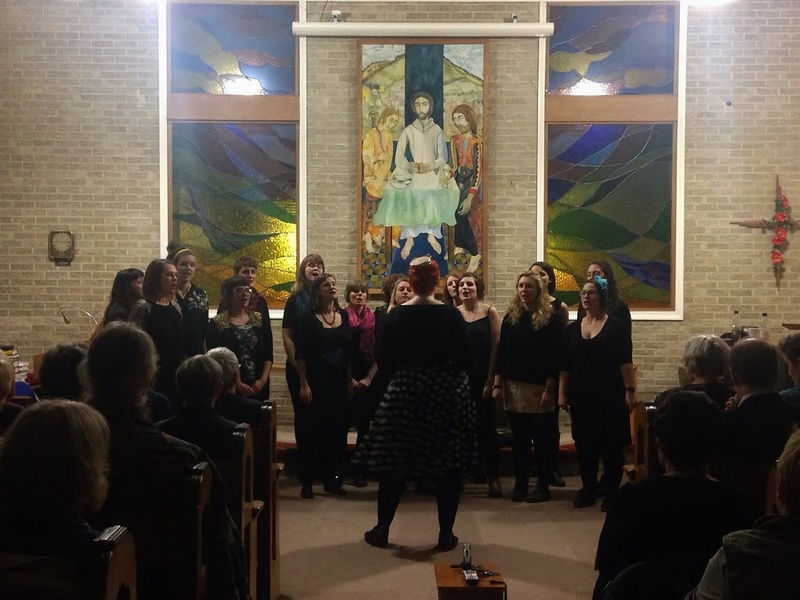 The Bradford Women Singers and the She Choir Manchester performed in Hebden Bridge for First Chance Nepal on the 14th November 2015. It was an incredible evening with outstanding thought provoking, moving and spirit lifting performances. There was also a marvellous spread of drinks and cakes served during the interval. The tickets, drinks, cakes and extra donations raised £1,189.23! Our own Heather Wearing also sold a brilliant selection of her own handmade knitted hats and snoods, raising £150.00! First Chance Nepal would like to say a MASSIVE thank you to all involved in the evening which raised an incredible total of £1,339.23!! The trail involved a 4km climb into the mountains with a beautiful view of the mist covered lake. It was tough underfoot and Steve did brilliant to finish the race in a good time with very little training and carrying an injury! Steve completed the race in 1 hour 28 minutes and Holly in 1 hour. 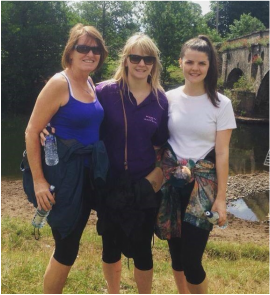 Diane battled on with blistered feet and a nasty encounter with a couple of dogs! A Big Well Done and Thank You Diane! 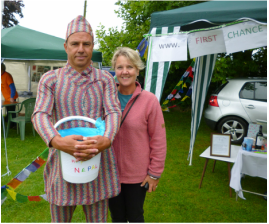 Martin and Eileen Waite raised £179 for First Chance Nepal at Newburgh Fair on 20th June 2015. They had a tombola stall with gift items donated by friends and family and also sold home made cakes. Martin attracted lots of attention wearing his son’s traditional Nepalese suit. Eileen Waite also held a Car Boot Sale on the 10th May 2015 which raised £127. Thank you to Eileen's generous friends who donated items to sell. Thank you Martin and Eileen! Dave and Martha, the perfect couple, selflessly opted for donations to First Chance Nepal rather than wedding presents which raised hundreds of pounds. These kind donations have been essential in allowing the construction of the new roof at Khangendra to get underway before the next monsoon season. Thank you Dave and Martha! 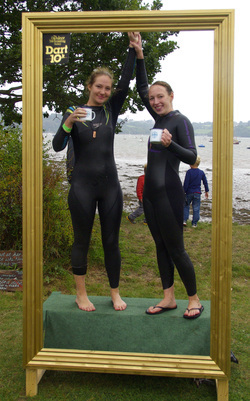 Lucy Broster and Holly Barwick swim the Dart 10K. Equivalent to a marathon, Lucy and Holly went from not being able to swim consecutive lengths of front crawl to swimming 10km in open water. Impressive! Their swim raised hundreds of pounds for First Chance Nepal. Father and Son duo Liam and Martin Waite successfully cycled from Blackpool to Paris, amazingly completing nearly 500 miles in less than 5 full days. Scheduled to swim the height of Everest (8,848m), First Chance Nepal founder, Joe Waite, shaved his head to reduce water resistance and increase donations before the Swim. Joe completed his swim and raised a good chunk of money for the Charity. After learning to swim at the age of 50, Eileen Waite swam 200 lengths (5000m!) 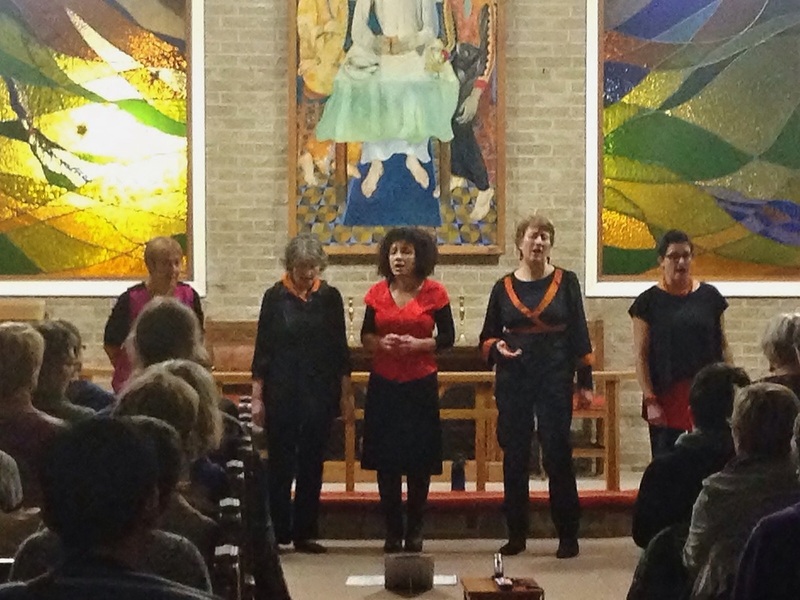 and raised hundreds of pounds for First Chance Nepal. What a brilliant effort! The Kathmandu Shimmy, following the success of previous events another night of live music, dancing & chaos all for a good cause was organised. A group of fundraisers walked the Yorkshire 3 peaks in aid of First Chance Nepal. Feeling inspired? Want to carry out your own fundraising event for First Chance Nepal? Use the contact page and get in touch.